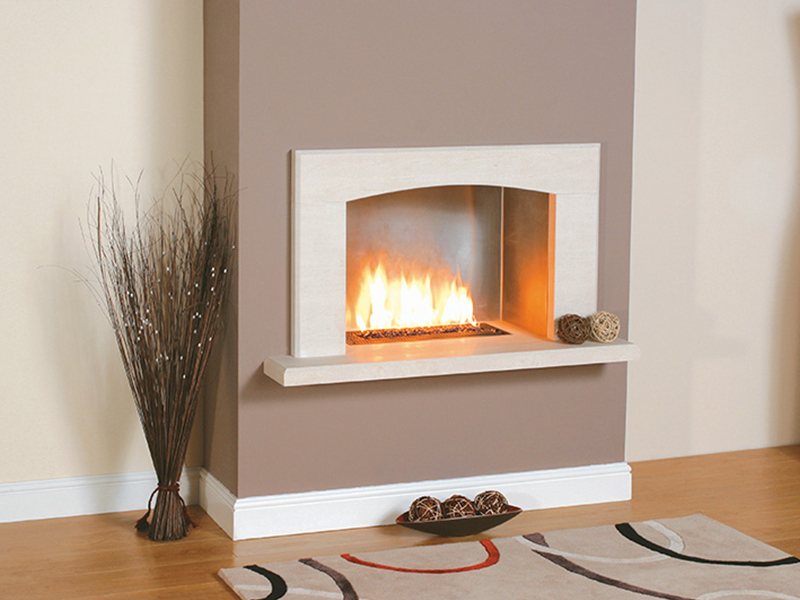 A Contemporary hole in the wall fireplace design. Clean lines and straight forward styling making it an ideal choice for most rooms. Option of either a stainless steel or matching limestone chamber.